Now retired Chief Master Sgt. Calvin Markham (right) during the early days of operations in Afghanistan. 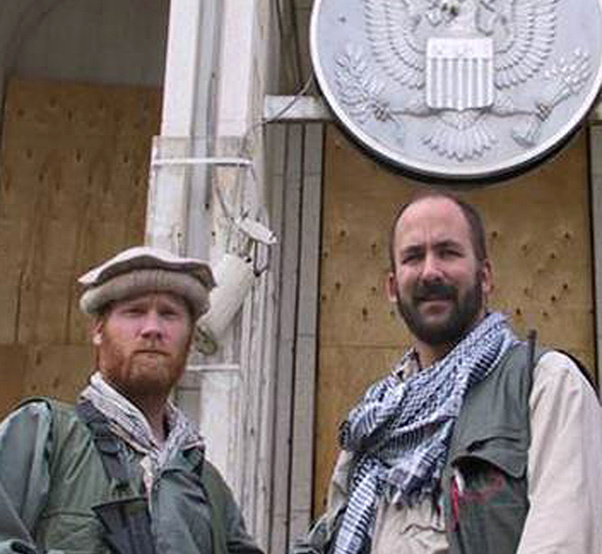 On Oct. 14, 2001, the first Airman stepped foot into Afghanistan with the mission to topple the Taliban. The rubble of the twin towers was still smoldering and rescue crews continued working through the devastation of the 9/11 terrorist attacks, when special tactics set out help liberate the Afghanistan people, alongside U.S. Army Special Forces teams and Afghan Northern Alliance fighters. “Everyone wants a seat on the airplane to get into the game,” said Bart Decker, a retired combat controller who was one of the first Airmen in Afghanistan. Less than a month after the terrorist attacks, combat controllers were tasked to survey and run an airfield, Karshi-Khanabad (K2) Air Base in Uzbekistan, which served as the rally point for special operations forces before the invasion of Afghanistan. “Controlling the airfield at K2 was vitally important to running C-17 (Globemaster IIIs) of personnel and supplies and building up the base,” Decker said. 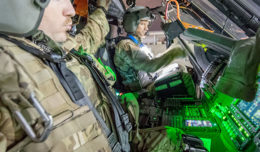 Special tactics’ secondary mission was to lead combat search and rescue teams paired with the 160th MH-47 aircraft and crew, establishing teams that would be responsible for the northern part of Afghanistan as part of Task Force Dagger, according to retired Chief Master Sgt. Calvin Markham, the first Airman in Afghanistan. The final mission was to provide air and ground interface for Army Special Forces teams, attach to CIA teams in Afghanistan, and link up with the Northern Alliance. Air Force combat controllers were part of the first three special forces teams on the ground in Afghanistan. The use of precise air power would hopefully gain the trust of the ANA, a crucial relationship in the war against the Taliban, Markham said. Gen. Abdul Rashid Dostum, the leader of the ANA, had a fierce reputation amongst his fighters, and his support contributed to the good working relationship between the Americans and the Afghan fighters; he was known to say that he would rather lose 100 of his men than one of the Americans, according to Sciortino, because they brought supplies and airpower. Besides the challenges of unknown territory, fluid intelligence, and language barriers, a few special operators faced an unexpected test: riding horses. They were serious. With only four of the Americans having previous riding experience, Sciortino’s crash course on horseback riding was an eight-hour trek through the night, all uphill through mountainous narrow passes. The horses had wooden saddles, which were loose and slid left and right as they rode into Northern Afghanistan. Still, this unconventional mode of transportation made sense to the special operators, as it permitted effective, low-profile transportation in the rugged terrain. “Looking back, it was the best means for travel because some of those places we went would have been non-permissive to even motorcycles,” Decker said. Decker, Sciortino and their special forces team were on horseback for 10 days, with the objective of reaching the northern city of Mazar-i-Sharif, and engaging the enemy. To Decker, he said the pairing of teams just made sense. 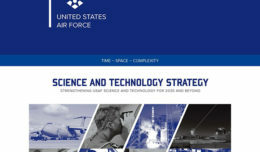 In one particular battle, Markham called in a danger-close B-52 Stratofortress strike that eliminated thousands of Taliban fighters massing on the southern frontline of Bagram Airfield. This one bombing mission turned the tide of the battle and war, according to Markham, pushing what remained of the Taliban south to Kabul. The ANA then mounted an offensive that pushed the enemy force to Kabul over the next two days. Once the coalition force established a front line at Bagram, combat controllers were able to direct air drops of food, water and blankets; these supplies were distributed by the ANA to the Afghan people to continue forging stronger alliances. At the start of the war, the special operators were given an expected timeline of six months to accomplish their mission, according to Markham. In the end, partly due to the joint cohesion of the special operations teams, they accomplished their mission in less than two months. “The American people should know that we had a goal, and we fulfilled it,” Decker said. These initial-response Airmen rotated home after 90 days in theater. Fifteen years later, the brotherhood that was built lives today. Special tactics Airmen today continue to be linked into all services and agencies on the battlefield, operating as a joint force across multiple domains on a global scale. “If you look at history, and how we can do better in the future, it’s got to be the joint world, all four services coming together, and having our leaders not forget what they learned on the battlefield,” Markham said.